Drastically Reduced! Amazing Deal! LAKE FRONT LOTS IN PROVIDENCE FERRY WITH 2 BOAT SLIPS. HORSE LOVERS WELCOMED! 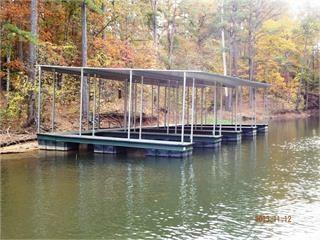 *** 2 LOTS *** 2 BOAT SLIPS *** The current owners maintain these lots and trail for easy access to the water. You can drive onto the property and walk to the water. While Clarks Hill Lake is well loved for its watercraft and fishing activities, the members of this community have access to equestrian activities and boarding. 5 golf courses within a 20 minute drive. Lots are partially mowed and easy to view and walk to the water. This community's amenities include a large covered pavilion with fireplace, grills, picnic tables, electricity, water, and restroom. All roads are paved and utilities are underground. Providence Ferry is conveniently located 35 minutes from Evans, GA.. Fiber optic service available.